When I think of summer my mind immediately thinks of long, hot, sunny days. I hear cicadas chirping, I picture barbeques, swimming pools, fireflies, and ice cream, and I imagine being outside as much as possible. For many students, summer is also the promise of more freedom. 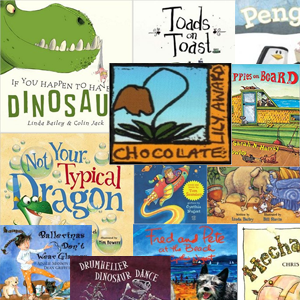 Having more free time than during the school year opens up a variety of exciting possibilities, as the characters in this feature’s highlighted books show. For teens, novels include road trips, romances, and adventures; where many characters start with certain goals and expectations for their summer, but where they end up is often somewhere entirely unexpected. Younger readers can explore board books, picture books, and chapter books with summer themes like swimming, crafts and games, songs, and making friends. 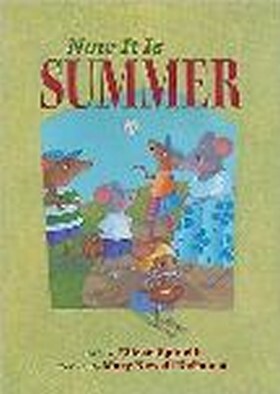 Also included is the nonfiction title, Why Is It Summer?, which explains the science behind the summer season. Enjoy the selections below and don’t forget to use CLCD for further searching and reviews. What better way to cool off on a hot summer day than by taking a swim? 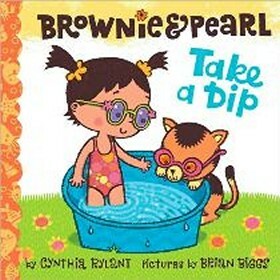 Pearl and Brownie decide to do this very thing and begin to get ready for a day of fun. After gathering the necessary accoutrements, they begin to ease in the cool water of the pool. Almost immediately, Brownie takes a spill, head-first into the water, and as a result decides that is enough swimming for the day. After a few minutes of sulking, Brownie shakes off his embarrassment and enjoys the day. Pearl and Brownie soon decide to dry off together by soaking in the sun. The story line is simple and is quite sweet in its presentation. The illustrations are vibrant and present a visually captivating representation of the story being told. The bright colors catch the eye while there is a nice sense of balance with the details of the drawings. 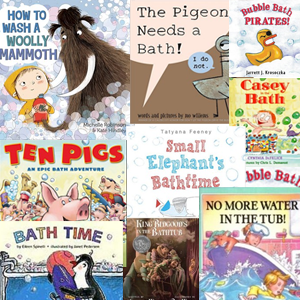 The font is appropriately sized making it easy to read and for little ones to follow along. 2011, Beach Lane Books, Ages 3 to 5, $13.99. Reviewer: Allison Fetters (Children’s Literature). Bev and Colby are not rushing off to college after graduation. The plan is to complete a summer tour with Bev’s band, The Disenchantments, and then travel across the pond. They want to foster their creative abilities in Europe, tour the country, make great discoveries about life. Everything appears to be on track, until Bev drops a bombshell: she is going to college in the fall. Colby, feeling hurt and betrayed, tries to beg out of his spot on the tour before his friends scatter across the country. The girls ultimately persuade Colby to continue the trek across the Pacific Northwest, but he is lost. What will he do after everyone else has left him behind? LaCour’s writing style is laid-back, low key, and totally on point. This book is like diving headfirst into the tour diary of The Runaways, Heart, Sleater-Kinney. The wonderful thing about this book is that it is character-driven. It is not about the music–it is about the relationships and connections that these kids make throughout the story. Their journey is told through song, pictures, people, and, ultimately, themselves. This is a story about self-discovery and figuring out who you are and where you need to be in the big scheme of things. It is not flashy or fluffy; it is just really good writing. Make this book a part of your collection–you will not be disappointed. 2012, Dutton/Penguin, Ages 15 to 18, $16.99. Reviewer: Jonatha Basye (VOYA, February 2012 (Vol. 34, No. 6)). The star of the three short stories in this beginner reader from Sleeping Bear Press’ “I am a Reader!” series, Frog is ready for the best summer ever! With his forest friends he enjoys all that summer has to offer by the pond. The table of contents informs young readers that “Frog and Little Brown Bat” is the first story. In which Frog and Bat spend time one night comparing all the ways they are different–concluding that being the same has no bearing on being friends. “Frog Takes a Vacation” sees Frog feeling like he needs a change and a break. But when his friends find out they want to come along on this day vacation with him. Frog really enjoys the surprise change in plans, and realizes that he can have peace and quiet when he is back in his normal pond. The third story has a more magical vibe to it. “Frog and the Starman” The Starman visits Frog and explains to him how he gives away stars. 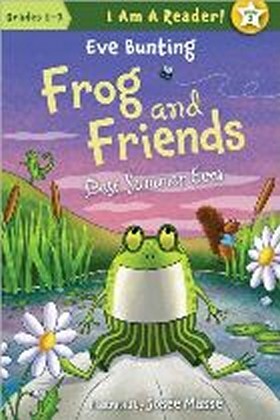 A vaguely existential story, Frog and his friends name stars, sing “Twinkle Twinkle Little Star,” and contemplate their happiness. Rich illustrations by Masse break up the text and add heart to this delightful beginner reader. Recommended. 2012, Sleeping Bear Press, Ages 6 up, $3.99. 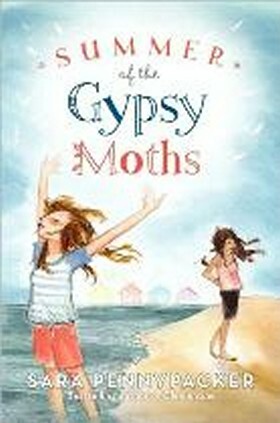 Reviewer: Emily Griffin (Children’s Literature). Sadie has quietly loved Garrett for the past two years. Recently, Sadie has started to think that perhaps he is about to realize that there is passion beyond their friendship. Their plan is to spend the summer together at a creative writing camp, where she is sure their relationship will blossom into true love. Things fall apart, though, when Sadie becomes ineligible for the camp and Garrett leaves without her. Although she busies herself with a job at a hip, local coffeehouse, she finds herself in a deep funk, and totally dependent on Garrett’s infrequent contact. When Garrett calls to say he has fallen in love with a young woman at camp, Sadie realizes she needs to detoxify herself from this obsession. Enlisting her new, eclectic group of friends to help, Sadie spends the summer figuring out what she likes about herself, in others, and in a potential boyfriend. Sadie and her friends (even the much-maligned Garrett) are a fun crowd. McDonald’s humor is snarky yet ultimately good-natured. The most distracting issue the confusing plot device of Sadie’s age, which makes her a seventeen-year-old who has just finished her sophomore year in high school. Some readers may ultimately disagree with Sadie’s choices but are sure to cheer for her as she decides on her own life path. 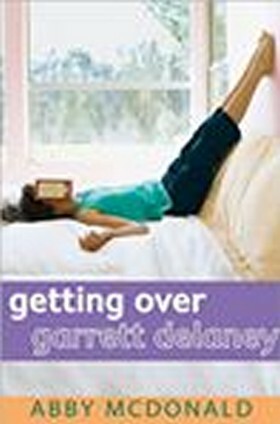 Gentle and humorous, Getting Over Garrett Delaney is sure to be a hit with fans of Joan Bauer and Meg Cabot. 2012, Candlewick, Ages 12 to 18, $16.99. Reviewer: Katie Mitchell (VOYA, February 2012 (Vol. 34, No. 6)). Set in Hanging Moss, Mississippi, in 1964, Scattergood’s debut novel tells the story of eleven-year-old Glory Hemphill, whose summer is about to change in ways she never could have predicted. It starts with rumors that the community pool will be closing, closely followed by the arrival of a Yankee girl named Laura Lampert, followed immediately by the discovery that Glory’s fourteen-year-old sister Jesslyn has been secretly dating Robbie, the new boy in town. 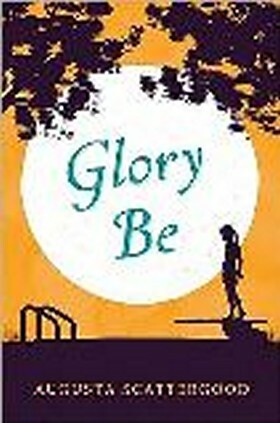 Much of the novel focuses on Glory’s growing understanding of the injustices of segregation, injustices that she, a white Southerner, didn’t see at the start of the novel but that, by the latter part of the story, have her writing a letter to the editor of the local paper blasting the city council members behind the racism-based closing of the pool. Glory shifts problematically between complete ignorance of current events and her profound observations about the occurrences happening in her own town, between blissful unawareness and precocious understanding. Scattergood is more successful at creating a believable setting that’s chock full of characters who, though occasionally caricatured, add to the sense of place and time. Glory’s narration is fresh, and her high-spirited take on the implications of the events going on around her makes for light reading, given the somewhat heavy overtones of the topic. Fans of gregarious, opinionated historical girls will be particularly drawn to Glory’s perspective, or you could pair this with Curtis’ The Watsons Go to Birmingham-1963 (BCCB 1/96) to contrast two very different kids very memorable summers during the civil rights era. A note about the book’s historical origins is included. 2011, Scholastic, Grades 4 to 7, $16.99. Reviewer: Hope Morrison (The Bulletin of the Center for Children’s Books, January 2011 (Vol. 65, No. 5)). Dee Barton loves to flirt. It is fun, and she is good at it. Flirting makes everyone involved, flirter and flirtee, feel good. And a little fun is exactly what Dee needs in order to forget her sorrows. It has been a rough fifteen months, with her father dying, her ex-boyfriend dating Sabrina Owens, and the financial strain on the family campground she and her mother are trying to keep up. A little harmless flirting seems to be just what the doctor ordered. But when a blog called the Superflirt Chronicles puts her in the middle of a devastating lawsuit, she will have to team up with her biggest enemy, Sabrina, to make things right. Bowers weaves an intricate story of fun and flirty summer days, riddled with miscommunications and misconceptions that are sure to keep the readers guessing. Touching on tough issues like grief, abuse and deception in a real and fully approachable way, this book is a fun, summer beach read with plenty of substance to carry through to the rest of the year. 2012, Farrar Straus Giroux/Macmillan, Ages 12 up, $16.99. Reviewer: Veronica Bartles (Children’s Literature). The Kids’ Summer Fun Book lives up to its title with well over one hundred fun and inexpensive activities young people can do to enjoy summertime to its fullest. Suggested activities appropriate for car travel, the beach, the woodlands, one’s own backyard, or even rainy day fun pack this excellent resource for parents and babysitters as well as children. 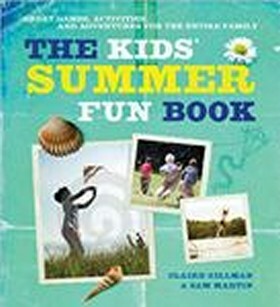 From learning the basics of body surfing, to making a model of the solar system markers, tape and simple toilet paper, to creating a terrarium, rubbing leaves, pressing flowers, and even croquet, The Kids’ Summer Fun Book is a treasury of both time-tested and inventive activities. Highly recommended. 2011, Barron’s, Ages 6 to 12, $12.99. Reviewer: Midwest Book Review (Children’s Bookwatch, August 2011). It is winter and Maisy is going swimming in an indoor pool. On the very first page of this movable book, readers can pull off the knitted cap that is keeping Maisy’s ears warm and pull her mittens back and forth. They are attached by a ribbon so she will not lose them. Next, pull off Maisy’s warm brown boots, then her red snow coat, which opens in the middle and see her grey sweater buttoned up underneath. Now take off Maisy’s purple shirt and pull down her yellow socks. 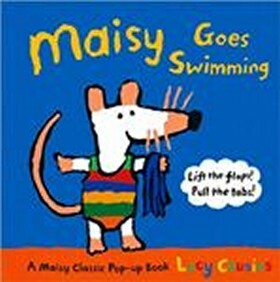 Finally, pull on her pretty little swim suit so Maisy can swim in the big indoor swimming pool on the last page and; if you open the changing room doors, you can peak in to see all of Maisy’s winter clothes waiting for her to put back on before she goes out again into the snow. But do not forget to pull and push the tab that helps Maisy swim back and forth in the pool! 2011, Candlewick Press, Ages 3 to 7, $11.99. Reviewer: Eleanor Heldrich (Children’s Literature). Silly fresh camp songs to well-known tunes will keep kids entertained on the bus or other boring places. “Somebody Send Me Home Now!” to the tune of “Skip to My Lou” along with the picture of the nurse ladling up yellow glop which overflows the table and the words: “Breakfast–it’s banana peel, fresh cement they call oatmeal” is a sample. “L-I-M-B-O” with a skinny kid trying the limbo, is sung to the tune of “B-I-N-G-O.” The song “Jim Needs a Shower” is sung to the tune of “Pop Goes the Weasel.” Weird looking kids make bird houses all askew in arts and crafts. Water sports are limited since, “There’s just a wading pool.” At the end the kid hands his mother his long overdue letter so it doesn’t need a stamp. The goofy words and pictures complement each other. Camp counselors may want to have a copy of this book for fireside sings and camp programs. 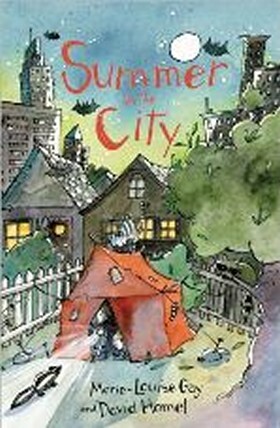 2011, Margaret K McElderry Books/Simon & Schuster Children’s Publishing Division/Simon & Schuster, Ages 5 to 8, $16.99. Reviewer: Carlee Hallman (Children’s Literature). A perspiring young mouse wants to know whether a cool autumn breeze will come soon. His mother replies that it will come soon enough, but now it is summer, with so many things to enjoy. He keeps longing for what he likes in autumn, but she keeps countering with the pleasures of summer. Instead of cinnamon muffins, there are fresh peaches. Flip-flops and beach robes come before Halloween costumes. Instead of the school bus, they will ride the ferry for a picnic. They can jump into the surf instead of fallen leaves. As night falls, the mother mouse reminds her young mouse to be joyful right now. Smoothly painted acrylic illustrations fill the double-page scenes with pleasant, imaginative details of anthropomorphic mouse activity. The bond between mother and child has a gentle appeal as the joys of each season are visually detailed in the lives of these mice. 2011, Eerdmans Books for Young Readers, Ages 4 to 8, $16.00. Reviewers: Ken Marantz and Sylvia Marantz (Children’s Literature). Like Who Likes Rain and Tracks in the Snow, Wong Herbert Lee’s latest work continues his celebration of the seasons to summer. Like the first two, this book is also quiet and lovely. The story follows a little girl from morning to night in her country home. The soft colored pencil illustrations help spin the story of a day that includes a picnic and a visit to night time creatures in the nearby fields. The text is minimal, told in the voice of the little girl in rhymed couplets-though Lee creates a special effect by the way he will break one couplet between two pages. Thus, the little girl in her pool asks “What’s this I see?” and on the next page, exclaims “a black-and yellow bumblebee” with the illustration showing her peering at the insect in a bed of peonies. Details in the text and illustrations make it clear that the little girl is part of a loving (and possibly expanding) family. 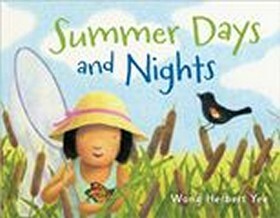 2012, Henry Holt and Company/Macmillan, Ages 4 to 7, $16.99. Reviewer: Mary Hynes-Berry (Children’s Literature). Kat, who is overweight, decides to lose weight in the summer. She has a crush on Josh, who is interested in someone else. Although her parents can’t afford to send her to weight loss camp, they do sign her up for the gym. If Kat loses 15 pounds in five weeks, her family will go on a water park vacation. At the gym Kat meets Connor. They enjoy talking, date, and Kat has her first kiss. Kat meets her goal of losing 15 pounds. Kat and her family go to the water park, and Connor’s family happens to go to the same resort. It’s a great summer. A weekly calendar breaks up pages of notes for the week. At the back are low calorie recipes and snack ideas. A list of topics to write about to keep your spirits up and hints for weight loss are given. This is a needed, upbeat, and helpful book for preteens. 2012, Stone Arch Books/Capstone, Ages 8 to 12, $25.32. Reviewer: Carlee Hallman (Children’s Literature). When Charlie’s parents announce that work is slow and the usual high-adventure summer vacation will now be a “stay-cation” at home in the city, Charlie gets busy looking for a way to make money. If it were not for his little brother, Max, who overfeeds the fish, gets lost, and generally causes catastrophe wherever he roams, business would be more profitable. But what is a big brother to do? In the long summer days, Charlie rescues a cat, survives a flood, gets locked in a bakery truck, is confounded by triplet dogs, and makes a friend. By the end of the summer, Charlie learns the unexpected benefit of helping others. A strong element in this book is that the protagonist solves his own problems, like when his brother kills “Jaws,” the pet fish they watch for a friend. Charlie realizes that his mom will not solve the problem for him, so he creatively finds a pet replacement that satisfies the owner, even though it reduces his business profit to zero. Students will laugh, love, and look forward to more adventures of Charlie and his little brother, Max. 2012, Groundwood Books/House of Anansi Press, Ages 8 to 12, $15.95. Reviewer: Krisan Murphy (Children’s Literature). After her grandmother dies and her mother abandons her, sixth-grader Stella goes to live with her Great-Aunt Louise who manages cottages on Cape Cod. Louise takes in Angel, a foster child, to be company for Stella but they “turn out to be oil and water.” That is until they return from school one day and discover that Louise has died. Angel does not want to go to any more foster homes and plans to run away. She changes her mind, however, when she hears that the renters leave tips. In order to stay at Louise’s house, the girls decide to secretly bury the body and keep the house, garden, and cottages running as normally as possible. Among the issues to be dealt with are the Gypsy Moth caterpillars who have invaded the blueberry bushes–the very ones that Stella’s mother had helped Aunt Louise plant about twenty years ago. Each girl has her own dreams. Angel is waiting for her emigrant aunt to get settled so she can live with her. Stella longs for her mother to return. As Stella turns to Hints from Heloise to restore order around her, she emotionally searches for connections to other people and for order to replace the chaos of her life. Writing from Stella’s perspective, Pennypacker creates two seemingly very different characters in Stella and Angel. She balances their emotional difficulties with humorous incidents. The reader learns from Stella that “broken things tell stories.” And indeed they do! Pennypacker tells a good one, for sure. Stella and Angel will remain with the reader long after the satisfying ending. 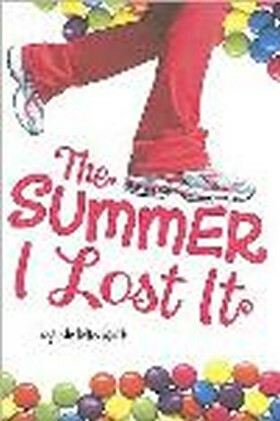 2012, Balzer + Bray/HarperCollins, Ages 9 to 12, $15.99. Reviewer: Sharon Salluzzo (Children’s Literature). Adrienne Haus was all set for an adventurous summer in the outdoors with her best friend. Unfortunately, an accident has her leg in a brace and her summer plans cancelled. She knew that she would end up spending the summer reading from the eleventh-grade AP English required reading list and working on the assigned essay, but she had no idea that reading would be the cause of her entire world being flipped on its side. 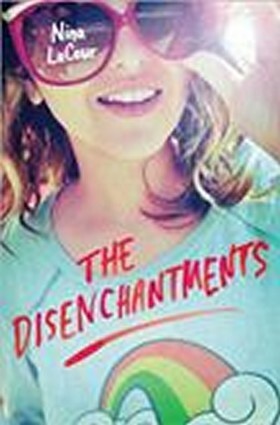 Four girls are thrust together into a mother–daughter book club for the summer. The girls, all from different social circles, types of families, and economic standings, struggle to understand one another and end up finding out about themselves along the way. The story is written as Adrienne’s summer reading essay. 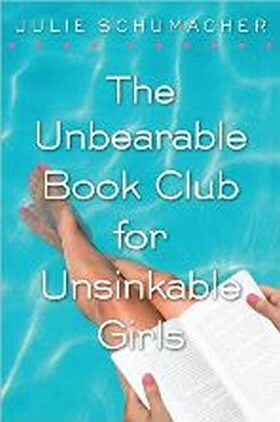 As she and the book club make their way through the books from the required reading list, she tells the story of what happened that summer, each chapter explaining a part of a story such as character, plot, climax, and resolution. Her story is packed full of references to literature, not only the books that the club reads but also others that Adrienne correlates to her life and her story. The structure of the story and these references give it the feel of reading an essay while still reading like a narrative, and much to the true form of a story, it has a twist at the end. Required summer reading never seemed so exciting before. 2012, Delacorte/Random House, Ages 12 to 18, $16.99. Reviewer: Tabitha Perry (VOYA, April 2012 (Vol. 35, No. 1)). Summer is the season when the north part of the earth gets more of the sun’s rays making the days longer and the air warmer. This is the time of year when plants grow quickly and farmers are busy working their crops. Of course, many children are busy, too, swimming, hiking, and camping! 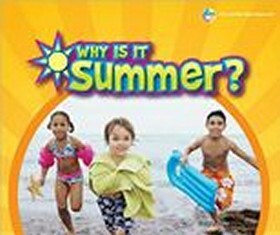 This book uses easy terminology to explain the many changes that occur during the summer. It explains how the earth tilts as it goes around the sun and the sun’s rays hit the northern part of the earth more directly. It also explains how sunlight helps plants and animals to grow. There are many colorful photographs that not only captivate young readers, they also support and help to explain the text. Each chapter has three paragraphs at the most. The vocabulary is basic and the print is large. Any child who has an interest in weather or a simple appreciation of the summer season will undoubtedly benefit from this book. It is part of the “Why Do We Have Seasons?” series. 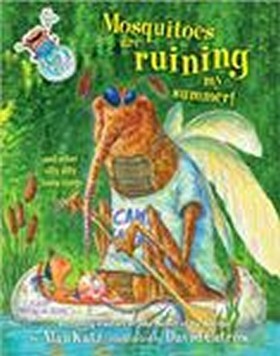 2012, Enslow Elementary/Enslow Publishers, Ages 4 to 8, $21.26. Reviewer: Denise Daley (Children’s Literature).